Is it just me, or is this an owl? Possibly a drunk owl. 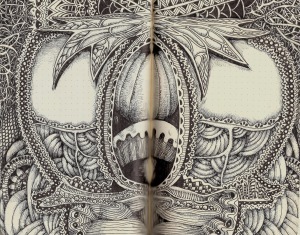 See what other the other 12 swappers are doing in their journal at the Rhodia Journal Swap on Tumblr.